Readers choose a story because they think it will hold their interest, so why do they sometimes skim or stop reading the story? There’s probably a variety of reasons, but I’ve noticed a few trends in comments in my critique group and from my own reading habits that may offer some insight. 1. Long, elegant descriptions slow things down too much. Maybe I’m a lazy reader, but when I see a paragraph or a few paragraphs of description that take up a whole page, I groan a little. That means the author stopped the story to describe something in such depth that it took a page to do it. That’s a page where the characters are waiting in a kind of limbo for me to finish reading whatever backstory the author decided I needed to know at that moment. Chances are, I won’t remember most of it. It’s not like I take notes whilst reading a novel. So I skim the description to get back to the story. I’m not alone here. I would say this is the most common complaint among critique-ers. Readers connect with the characters, not descriptive settings and backstory. Description should be sprinkled throughout the narrative, not presented all at once. I wrote about this more in depth in this post and this post. Bad dialogue is more likely to make me stop reading than to just skim. Dialogue is where the meat of the story is. It’s how the readers know who the characters are and how they respond in certain situations. Sure, you can relay the story with a single character and a single setting sans dialogue, but even Tom Hank’s character in Cast Away had a volleyball to talk to. With a character, specifically. My yet-to-be-published adult mystery novel has four POV characters, and it’s been really interesting to see which ones the beta readers and writing partners connect with. Knowing what I know about how the characters behave later, it could be good or it could be awkward. 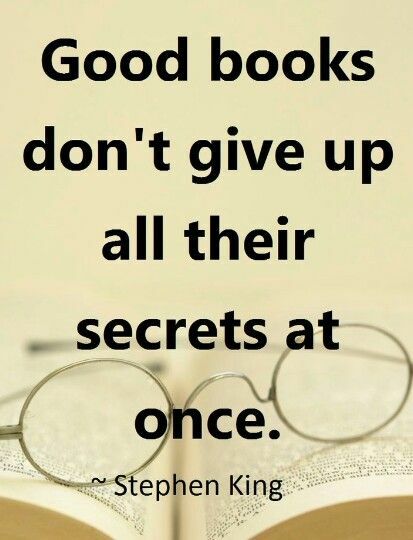 In any case, it will keep the readers reading, because they want to see how “their” character’s story plays out. It’s rare for me to read a story where I don’t connect with the main character. The MC could be a sixty-year-old retired detective, and I can still connect. The key is for the MC to be human. Give him feelings and regrets. Let him make mistakes. Give him a history. That’s how we connect to people in the real world, and that’s how we connect with characters. This occurs when the author stalls the reader by adding an irrelevant subplot, random conversations or whatever before getting to the story. This is probably what happens in the “mushy middle”, which can be a tough thing to write through. The conflicts need to be authentic, the dialogue relevant, or I find myself skimming. What else could be on this list? What makes you want to skim or stop reading a story? When we find ourselves skipping over our own writing – is that bad? I read over one of my favorite pieces this morning and found myself skipping over paragraphs. I figure it could be one of two things. 1: A reader unfamiliar with the story, would not skip. 2: The story was not as good as I thought. The big question: how can one tell the difference between 1 and 2? That’s why we recruit others to judge our work for us. This is archive stuff, all right. It’s funny to see you talk about your “mystery novel” when it wasn’t yet published. Too many details on what a character looks like, especially a minor character, bogs down the story. Also when a writer puts too much backstory into a character, again, especially a minor one, this slows a story. I grow bored whenever it feels like we’re taking an unnecessary detour from the main plot. Misspelling, grammatical errors, and no grasp of narrative techniques in regards to points of view will stop in my tracks! From the archives: Why do readers skim? As a reader/reviewer as well as a writer, I will add ‘the introduction of too many characters, too soon’. In fact that often makes me skim read straight to the next book! I started one a month or so back that had over 40 in the first ten pages. Impossible to keep track of. But yes, I agree; too much description – unless it is relevant, for instance, if describing the way people lived in a past era. Bad dialogue just makes me abandon. Also – too much technical detail. Sometimes, it’s enough just to let the reader know the basics, and take it as said. My eyes glaze over. Great points. I completely agree. Thanks for commenting! Heh, this is so true for me–especially number one. Take your magnificent sunset elsewhere, milieu-loving authors! That said, stilted writing in general does it for me. Particularly–tying number one into it–when a long description jumps around on me like crazy. If I’m seeing the bow of the ship, then the bubbles in its wake, then the stern, then the crow’s nest, then the dock it just left from, my eyeballs and my brain start to feel a little detached, and I start thumbing through to see if Character A dies in the end. If you’re going to give me a long description, at least make it flow! Oh, oh, oooh. And passive voice. Lots of passive voice. Nothing is more snooze-making than a lot of passive voice. Thanks! I have a little motion sickness at your jumping around description. Or is it sea sickness? 😉 Yes, take the sunset elsewhere! I didn’t think about it until I started writing. 🙂 Thanks for reading and commenting!